Lumbosacral Neuritis (ICD-9 diagnosis code 724.4), its definition, symptoms, causes, and treatment. The spine is composed of 33 interlocking bones called vertebrae. 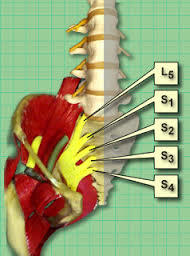 The lumbosacral region of the spine consists of 5 lumbar vertebrae and the sacrum (5 bones joined together). Within the spinal canal that lies within these vertebrae, there are a number of different spinal nerves that arise. In some cases, these nerves can get a bit inflamed and can cause a variety of different symptoms. Inflammation of the spinal nerves is called lumbosacral neuritis. This is one of your spinal nerves are inflamed. Your lower back, along with the sacrum, contains lumbar vertebrae. The spinal cord lies within these vertebrae and within your spinal cord is where you will find different spinal nerves. Lumbar neuritis is an inflammation of the lumbar nerves, branched out from the spinal cord at the lumbar division. The symptoms of lumbosacral neuritis include sudden pains in the leg as well as the lower back. A person having Lumbosacral Neuritis feels weakness in their muscles. Debilitating pain affects the lifestyle due to unbearable pain. The pain increases day by day along with inflammation. Lumbosacral neuritis is caused by inflammation of the nerve fibers. There are many reasons of inflammation of nerve fibers like infection, compression, slipped vertebrae disc or injury. Lumbosacral Neuritis may be caused by bulging of lumbar discs, which may leak inflammatory substances like prostaglandin in nerves. There are also many reasons like trauma, mechanical injury, leaking of toxic material or due to metabolic changes. 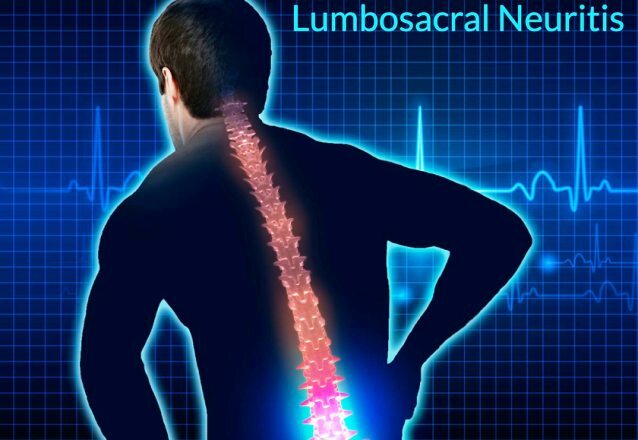 The other Lumbosacral Neuritis causes include high level of acidity which cause increase the rate of acidity in the blood which also causes lumbosacral neuritis. 724.4 is the ICD-9 Code used for Lumbosacral Neuritis. The physician may diagnose Lumbosacral Neuritis with spine X-ray. The physician may also check for problems like osteoporosis, slip or space in any disc, fracture of bone, or injury. The physician prescribes patient for Magnetic Resonance Imaging or Computerize Tomography scan which makes the diagnoses easier. Lumbar Motor Nerve- Affects single motor nerve and results in symptoms of motor deficit such as weakness and atrophy of muscles of the lower extremity and lower back. Lumbar Sensory Nerve inflammation- Affects several lumbar sensory nerves fibers from level L1 to L5. The sensory deficit is often widespread in the lower extremity. Lumbar Motor Nerve inflammation- Affects motor fibers of single or multiple segments, resulting in widespread motor deficits resulting in weakness and atrophy of affected muscles. The physician makes the treatment plan after diagnosis because there are different treatment options according to the causes. Mostly people that are suffered from Lumbosacral neuritis due to diabetic neuropathy which is easy to treat. The patient just needs to take the supplement, multivitamin and requires physical therapy. They must need to control their diabetic level because diabetes is the cause of inflammation so by removing the cause, the inflammation improves. The patient with diabetes also needs to take exercise daily because it also helps in recovering the disease. If we talk about the pain then physician also prescribed medication for the relief of pain as well as also give the non-steroidal drugs for the relief of pain. The medicines help a lot to alleviate the pain. These are some treatments that to relief the severe pain. These are the home remedies you can use to relieve back pain caused by the condition. take one cup of soya bean drink and mix with the honey and take this cup before sleeping at night. drink one cup of barley in water and boil it after cooling, add butter and drink it twice a day. Must eat raw vegetables like spinach, carrot and so on. You can use the heat pads on the affected area to get relief from the pain. take a lot of water. In short, Lumbosacral Neuritis can be a rather painful condition that may result due to various causes. it is important to consult the doctor immediately and once the cause has been identified through investigations, specialized treatments may be given to the patient to help relieve the symptoms.